Isn’t it Beautiful?. 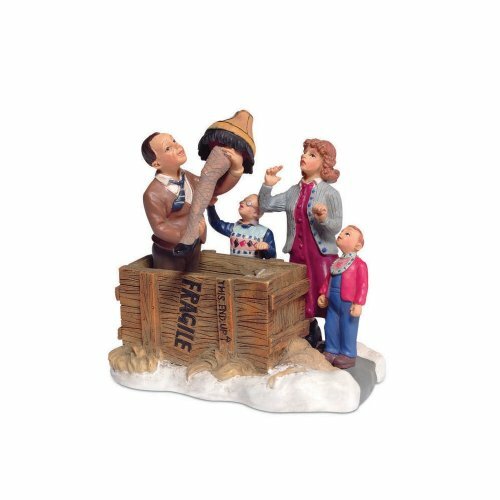 Leg Lamp Scene Figurine. Part of A Christmas Story Village by Department 56. Made from polyresin. Approximately 3 inches tall (10 cm). Includes original manufacturers box and packaging. Made by Department 56. Ralphie’s dad proudly shows off the “major” prize he has just won! “It must be Italian — it’s marked fragile!” Hand painted and handcrafted by skilled artisans from Department 56.. Officially licensed Christmas Story product.